The AGA has just received a request to send a young North American (US or Canadian) player to Hangzhou, China, for the new Li Min Cup World Best Go Star Championship Finals from December 18 to 24, AGA President Andy Okun reports to the EJ. The player, who can be a citizen or permanent resident, should meet the AGA’s eligibility requirements and must have been born after Jan. 1, 1991. Food and lodging are being provided by the organizers along with travel expenses of up to 10,000 RMB (about $1,600). “While this is a last-minute thing, I have been to Hangzhou and this is a trip worth making if at all possible,” Okun said. 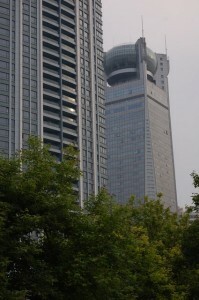 The venue of the tournament, Hangzhou Qiyuan’s Tianyuan Tower, is a 34-floor go-themed luxury hotel with a major go school and library and a go museum in the lobby (THE TRAVELING GO BOARD: HANGZHOU’S TOWER OF GO 5/27/2010 EJ). Interested players should respond as soon as possible to Okun at president@usgo.org and Cherry Shen at tournaments@usgo.org. If there are multiple interested players, a quick play-off may be held.